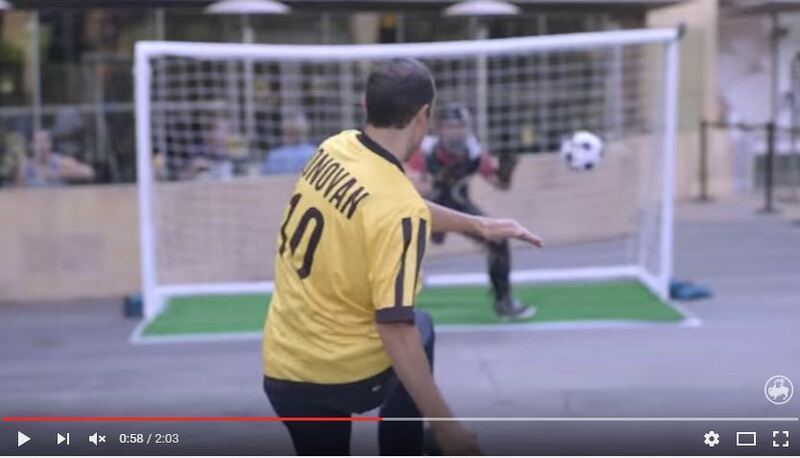 How surreal would it be to go to your local Buffalo Wild Wings for some food and have Landon Donovan, the greatest male soccer player in U.S. history, stop you at the entrance and challenge you to a game of one-on-one? We had the opportunity to speak to Donovan about his experience making the video, hanging out with fans and life after retirement. Read the interview here. Becky Sauerbrunn is a co-captain of the United States women’s national soccer team. She’s won an Olympic gold medal, a World Cup and is one of the best defenders in the world. In this interview, we spoke to Becky about the upcoming Rio Olympics, what it feels like to win a gold medal, the process of making the U.S. women’s national team and her inclusion on Team Budweiser. Since Clint Dempsey and the U.S. Men’s National Soccer team were knocked out early in the World Cup four years ago in South Africa, he’s been on a mission to DO:MORE so he could ultimately IMPROVE and lead the team farther during this summer’s matches in Brazil. 1. Talk about your partnership with Degree: DO MORE and how one lucky soccer fan can win a trip to Brazil in June to support you and the U.S. Men’s National Soccer Team. Degree is working with soccer and promoting the game. And also they’ve got the new deodorant now out with Degree Motion Sense technology where the more you move the more protection you get. The cool thing about it the campaign is, if you go to degreesoccer.com, a fan can win a trip to Brazil to join us at the World Cup this summer, so that will be exciting. 2. Is scoring a goal the hardest thing to do in sports? At times, it feels like that, but other times, it feels like luck is on your side. It is a great feeling. For me growing up, whether I scored a touchdown or hit a home run, or scored a goal, scoring a goal is the greatest feeling to me. It gave me such a rush you want to keep doing it over and over again. That’s the reason I love the game. I love that it’s continuous, there aren’t that many stoppages, and scoring a goal is why I fell in love with it. 3. What does it feel like to be the captain of the American team? One, it puts more pressure on me to try to will the team on. At the same time, there are a lot of players on the team that have played in World Cups, and will be ready for that challenge. We have a lot of leaders on this team; not just myself. Michael Bradley, Tim Howard and plenty of others that have that experience and really helped the team out in tough times. We’re a team that’s in good hands and we’re looking forward to the challenge, and I’m excited about that opportunity. Read the full interview with Clint here. Bullz-Eye.com covers a wide variety of grooming tips for men, from hair care to shaving and much more.